Today it looks much the same as it did the day the last residents left. 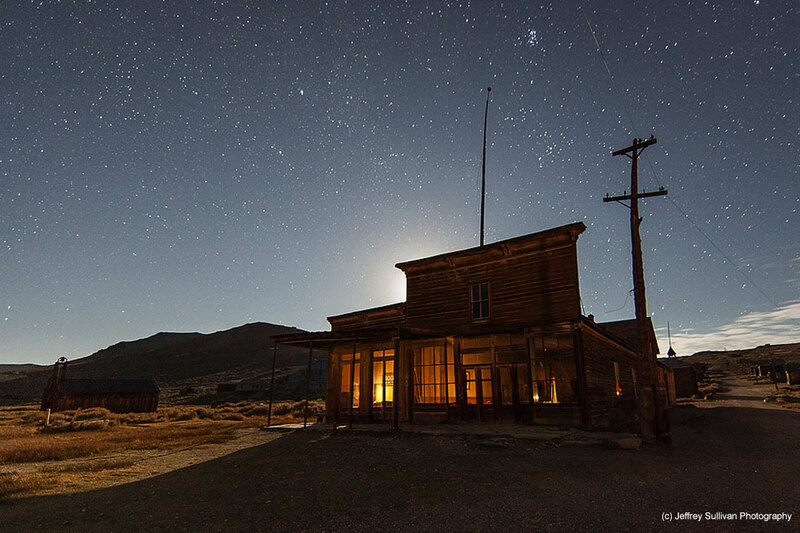 Bodie is a true ghost town. Not the Halloween kind, although it is quite eerie, the deserted kind with not a sole to see. With just a 1.5 hour drive from either Mammoth or Lake Tahoe, this haunting historical site is a must see attraction along Highway 395. The story goes that when the mines dried up, the inhabitants got up, and left leaving everything behind. And today, the laundry still hangs on the line, the school books are still open to the chapter the kids were studying and the pots are still on the stove. Nothing has changed, except the lack of residents. You can feel their spirit in the air. Bodie was at its heights from 1877-88 with over 10,000 miners in residence and mines yielding over $35 million in gold. Now it's the largest unrestored ghost town in the Western U.S., featuring weathered buildings, a museum and a visitor center.You can look right through the windows of the school house, at the old general store and see bottles, merchandise and more from days gone by. Everything is Bodie is now "silent" with empty streets, empty structures and you get a glimplse of what was once the wildest mining camp in California and one of the biggest. It is second in size to Sutter's place yet by far the coldest, with the most brutal winters. Hence, when the ore dried up, the residents packed up and moved to warmer ground. Summer or Winter you can visit Bodie and many believe to get a full understanding of what life was like, winter is the time to visit. Bodie is open all year but you will need to be equipped to get there in winter with 4WD, chains, skis or snowmobiles as the road ends and there is about a 1/2 mile of gravel to the front gates. In summer you just drive on the gravel. It is well worth the adventure. This is one place you will most certainly will see the ghosts of the past.